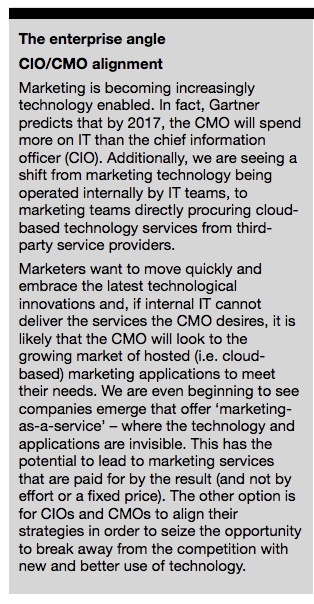 For marketers, salespeople and anyone who regularly touches a computer, the latest phenomenon is precipitating fundamental change in how we access technology. It wasn’t so long ago the generation was born that would look at the iconic shiny compact disc, once the staple medium for music distribution, and ask ‘What the heck is that?’ The same generation would look quizzically at the handle once used to ‘wind down’ the window of a car. The same fate is fast befalling what was once considered the vital organ of a computer along with its CPU: the hard drive – the solid metal brick deep in the bowels of your desktop or laptop, used to store all the documents, photos, music and anything else you’d consider to be ‘on your computer’. 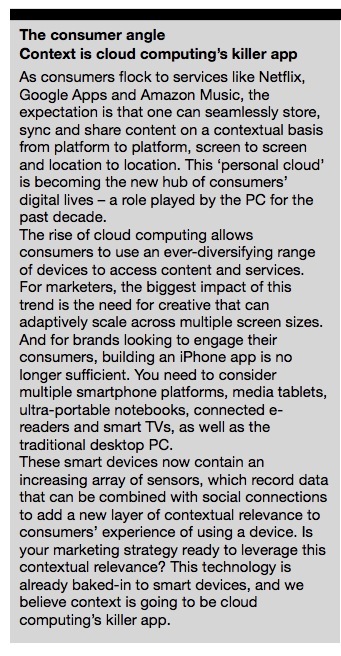 The concept of ‘cloud computing’ is not only redefining what we consider to be ‘on our computers’ in the first place, but is also creating yet another technological sea change in how we work, play and generally interact. To understand the basic concept of cloud computing, consider a simple document, such as the one you’re reading now. Traditionally, this document would be stored on my computer’s hard drive, such that I could access it to edit, print or email it to someone else. But what if my PC were stolen? Or, as is much more common, if my hard drive were to crash or if someone were to spill coffee on my laptop? If I were a tad smarter, I might have a backup file somewhere, but what if that were also stolen or involved in a flood or fire? Since the document resides on the physical computer that I’m working on, in these cases it would be lost forever. With cloud computing, I would never have saved this document ‘locally’ on my computer’s hard drive, but rather via the internet onto some magical, invisible hard drive, that not only can I neither see nor touch, but have no idea where it’s physically located (perhaps you can start to see where the term ‘cloud’ comes from). You may think that this simply moves those same issues to some other physical location, albeit far away from your personal computer or mobile device. Not really. Storage that is said to be ‘in the cloud’, aside from being well-guarded and in much safer locations than your home PC or laptop, is not stored in just one place. Multiple copies of your documents exist on servers that likely span multiple cities and, in some cases, even countries or continents. So your data is safe, at least from an accidental loss standpoint. So, by signing up to a ‘cloud’ service, you can see that you can use that service to store your documents (pictures, music, videos etc) via a third party’s website. Just sign on via the internet and you can see all your ‘stuff ‘ just as you are used to seeing on your hard drive – view it, print it, email it or delete it. So that’s fairly easy to understand with data, but what about software? Surely a hard drive is still needed to store your copy of Word, PowerPoint or iTunes? Not anymore. Cloud services are currently being deployed with a model known as ‘software as a service’, or SaaS. In such a system, once you log on to your cloud account, you will see your documents and programs, as if looking at your typical desktop – but it’s all stored ‘in the cloud’, so you never have to worry about damage or loss of your PC or laptop, not just for data, but for your programs as well. All that needs to be stored on your device itself is the operating system and some sort of cloud client, which could be as simple as a web browser. One major advantage of cloud computing is that you can log on to your cloud account from any workstation. So, if you are going on vacation, and don’t wish to carry your hefty laptop around with you, no problem. You can find your hotel’s business centre, log in to your cloud account on its computers, and work and play just as if you were at home, or pull out your smartphone or tablet PC. Same as if you’re at your friend’s house for dinner, and suddenly realise you need to update an important contract and email it to a client. In fact, many people are using the cloud almost daily and not realising it. If you use Hotmail, Gmail, Facebook, Twitter or anything similar, ask yourself where your emails and status updates actually ‘are’. They’re not on your local computer, as you can access those services from any device, anywhere, and send or read emails, and update your status. These internetbased services are examples of cloud computing being used by millions of people. In summary, cloud computing is a way of working, playing and interacting without being tied to your specific device, be it a home PC, laptop or, more importantly, your mobile device with its limited storage and computing power. Many of you at this point will be asking yourselves, “Well then, who does have all my stuff? Isn’t it risky to just put all my important and sensitive stuff ‘out there’?” The short answer is: yes it is, absolutely. However, the following risks are not presented as a form of scaremongering, or to dissuade the reader from using cloud computing in their daily activities. Rather, they are presented as questions that should be asked when choosing what to put into the cloud and what to keep on your ‘local’ system (under your control), and which cloud vendor to use to suit your specific needs. As far as who is looking after all your precious memories and banking details goes, it depends on who you choose as your cloud service provider. Big name companies like Google, Apple and Amazon all offer cloud services and, for the most part, can be considered a safe bet. But, for more specialised applications, there are a host of vendors, and the risks are rampant. The most common fear is: what happens if your vendor goes out of business? Smaller tech companies are notoriously volatile, and if they have all your documents and applications, then one day shut their doors, not only might you never see your data again, but who’s to stop them selling their servers to help recover losses and pay their debts? Will they wipe their hard drives before they sell them off? Another risk is as mentioned before, copies of your data and programs are being stored in multiple locations, and likely in multiple countries. There are, however, many directives being issued by governments (the EU being a good example) that prevent cloud storage outside of their national boundaries, but this is still in a state of some disarray in many geographical areas. This means that privacy and intellectual property rules and regulations may or may not end up applying to your stuff, in the way you think they would in your home country. This may be OK for pictures of your dog dressed up for Halloween, but, if you are collaborating on a hot new game-changing idea, be careful. The security of the data itself is also a big concern. Some of the cloud providers’ servers may be in secure bunkers, but some may be being run by a college kid in his mother’s basement, and who has access to the data can be anyone’s guess. Given how valuable personal information, even just an email address, can be to a spammer, a server administrator could always be tempted to ‘leak’ some information here and there. Many cloud providers promise to encrypt your data, in case of a security breach. But encrypt with what? They could be using an encryption system from the days of Alexander the Great, or the latest in cutting edge cryptographic technology. Even sticking with the big names is not a safe option. Have you read all of the new Google privacy policies? Remember when Facebook slipped into its verbiage how it’d own the rights to all the pictures you uploaded? Do you know, for example, when you upload something to your cloud service provider of choice, who then actually owns the rights to that amazing one-of-a-kind picture you took of Lindsay Lohan falling out of her car drunk? Like any new technology, cloud computing seems at first like a quagmire of risks and benefits, of life-changing opportunities and enterprise-destroying mistakes. As always, the key guideline to entering such new technologies is to know and trust who you’re dealing with. Regardless of whether you’re dealing with a big name corporation or a Silicon Valley tech start-up, do your research. Understand why you need the cloud in the first place, and what services you need them for. The key point is to ask questions and do your homework. 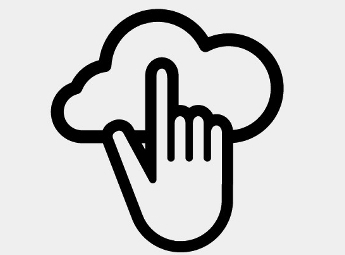 Cloud symbol by Andrew Forrester, from The Noun Project collection. Director of future technologies, Tigerspike. 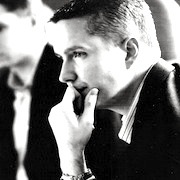 Before joining Tigerspike, Stuart graduated with a Masters degree in thermal and nuclear physics and completed his PhD in optoelectronics, before joining a start-up specialising in high-speed optical transport for VoIP, VoD and Gigabit Ethernet data, securing deployments with the likes of Time Warner, Comcast, Cisco and AT&T.